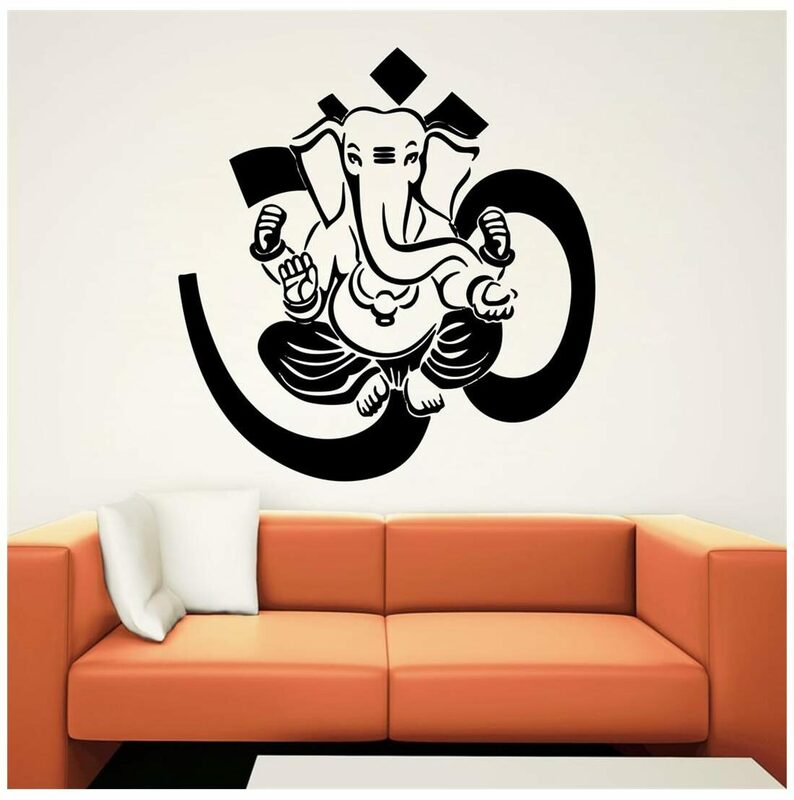 Welcome To The Foremost Place On The Web To Find Artistic Designs Of Wall Decals And Wall Stickers.Wall Decals And Wall Stickers Are Self-Adhesive Vinyl Stickers Made For Applying To A Surface.They Are A Great Alternative To Wallpaper, Paint Or Stencils And They Give You Choice. Choose Your Space, Plan The Design You`D Like To Make, And Then Apply. They Are Extremely Durable And Are Available In Various Designs. Its Extremely Easy To Apply Them On Your Walls Or Any Flat,Smooth Surface. Disclaimer : All Pictures Are Digitally Enlarged To Provide, Better View Of The Product , Hence Picture Stands , No Reference For Product Size , Refer To The Name Of The Product For Selection Of Size Of The Product . You'll Receive Exact Size Products As Per Your Order. Background And Other Props Are Only For Depiction, They Will Not Be Included. Decor Villa Products Come With Warranty Of 15 Days From The Date Of Purchase And Is Not Transferable. Decor Villa Warranty Covers Following: A) Any Damage To Product In Transit. B) Any Manufacturing Defect In Product. During The Warranty Period, Decor Villa Shall Exchange The Product Free Of Cost. Decor Villa Warranty Is Not Valid In The Event Of Following Instances: A) Any Damage To Product Due To Extreme Heat Or Moisture. B) Mishandling During Installation. C) Any Damage Due To Human Interference, Exposure To Fire Or Accident.Customer Agrees That Decor Villa Reserves The Right To Correct Any Issues That Were A Reason For The Return, Before Any Possible Refund Is Issued.